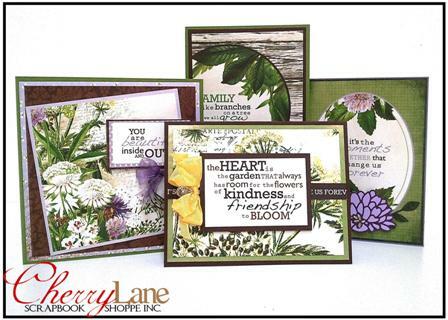 New “Scrap Yard” Cards in a Snap Kit! We have a new Cards in a Snap Kit to share with you! Our “Scrap Yard” Cards in a Snap Kit is a very manly all occasion set and the kit includes all pieces to create five cards as pictured. Everything is pre-cut for you (just a few bits for you to cut! )… simply follow the photo provided to assemble your cards. Fast & fabulous cards in a snap! Kits are prepared in limited quantities, and when they’re gone, they’re gone for good! Drop in today to pick up your kit! We have a new Cards in a Snap Kit to share with you! Our Ma Cherie Cards in a Snap Kit is a lovely all occasion set and the kit includes all pieces to create five cards as pictured. 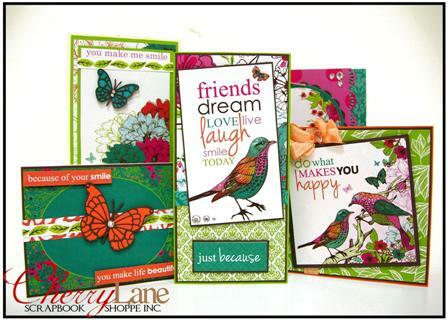 We have another “Make it Quick” Card Kit to share with you! Our Botanical Garden Make it Quick Card Kit is a lovely all occasion set and the kit includes all pieces to create four cards as pictured. 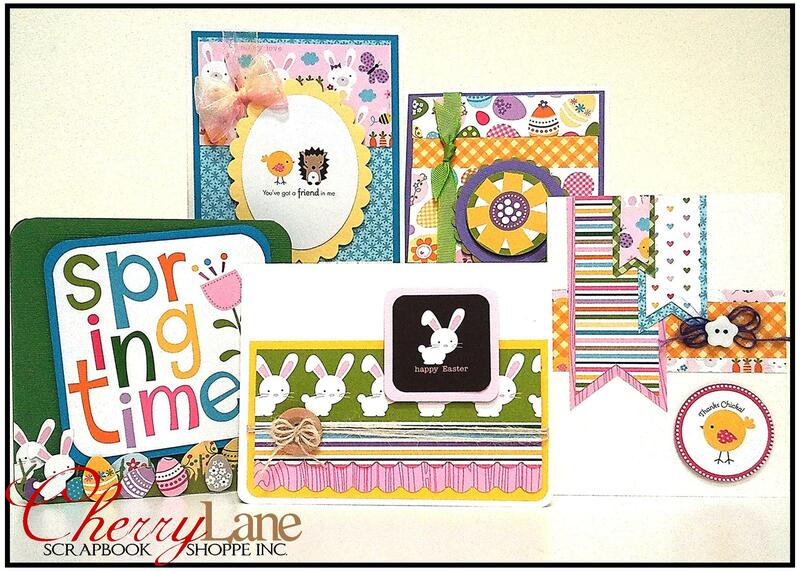 We have another “Make it Quick” Card Kit to share with you… this one is Easter themed… and you know that is coming up soon!